Today, Cisco announced the acquisition of OpenDNS, a cloud-based web security company for a cool $635M. This acquisition is an interesting step for Cisco, and solidified something we have suspected for quite some time. Cisco, is serious about security and security analytics. Now, for full disclosure, Anitian did provide some analysis for this acquisition. So this blog entry will only discuss public information. Cisco’s security acquisitions are interesting, because they are not going after traditional security software companies. SourceFire was their last big purchase, but since then Cisco has become a lot more savvy about who and what they acquire. Moreover they are showing a mature, forward-thinking strategy. Marty’s RSA keynote this year was also insightful (which I wrote about in our RSA blog entry from that day). While some people might have found it boring, I heard genius happening. Real innovation and ingenuity is dull at first. This is partially because we lack a frame of reference on which to judge the new ideas. OpenDNS was not about content filtering or web security. Sure, they make a great product. Their DNS services have been the geek’s choice for nearly a decade. We have used OpenDNS for years and always recommend them to clients. It is a reliable and extremely effective service. However, it is also free (at least for basic services). Freeware usually makes the money guys lose interest and wander off to their squash games and rowing tournaments. It is difficult to make money when your primary product is free. Unless you are the master of taking free to market, Martin Roesch. It was Marty’s name and Snort’s influence that got those money guys back to the table. But that was not the only thing that brought the polo-wearing investment bankers back in the room. While OpenDNS might not have the most profitable business model, they do have one thing that is extremely valuable: gobs of rich, delicious data. School districts and colleges all over the world use OpenDNS because it is affordable. Who always gets hacked first? Schools. OpenDNS’s data is exceptionally useful, because it can be easily turned into highly valuable threat intelligence. The kind of threat intelligence that can make a NGFW product work better. Yep, that four letter curse word you just heard echoing through the streets of Santa Clara came from the halls of Palo Alto Networks. Fortinet will say the same thing, but they need time to engineer it into an ASIC. Cisco is going to mine all that DNS data for threat intelligence and build themselves a security analytics platform. It is the same reason they bought ThreatGrid, SourceFire, and others. Cisco wants to play the Security Analytics game. And when they play a game, you have no choice but to play along. Furthermore, OpenDNS is also a cool company. Their RSA presentation on analytics and data visualization was captivating (which we wrote about here). It was the reason I go to RSA. To see smart people doing cool stuff. Now those guys work for Cisco (or they will). That means there are more smart people inbound to Cisco. Again, Cisco is not merely acquiring cool technology, they are acquiring cool people. In today’s world, smart people are more valuable than smart technologies. Because smart people build intelligent things. And Security Analytics is all about intelligence. What amazes us, is how Cisco has turned around this ship, when they really did not have to. Cisco has consistently trailed on innovation, but they did not have to be innovative. 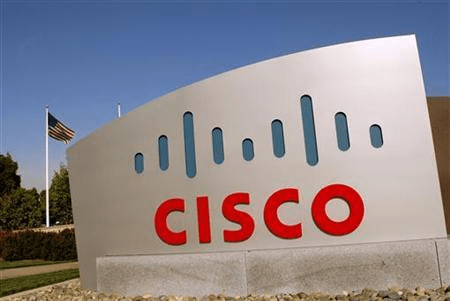 Cisco has had the luxury of lying back on its brand name and zealous channel to maintain market share and rake in cash. But then Palo Alto Networks happened. For better or worse, Palo Alto pushed everybody to greatness. When people saw how this startup company could out-innovate everybody, well they wanted a piece of that. The endless cycle of breaches also helped fuel this as well. Now, here we are a few years later and Cisco is on the edge of tomorrow. They are not only fielding competent products, but innovative ones as well. Of course, it is not all perfect. The FireAmp product needs work. And Marty’s visions from RSA, while fundamentally sound and innovative, need to be polished into something real. Cisco, also has a history of grandiose ideas that never go anywhere, such as their “self defending network” messaging from a while back. Cisco’s acquisitions, like many others happening right now, are all about Security Analytics. This market continues to form. Cisco will need some other technologies to be a real player. They need a logging platform. Splunk, ArcSight, and Accelops are all potential targets. AlienVault has been getting attention lately, which is good, they could use a good scrub. Cisco, Raytheon, Blue Coat, Palo Alto, Fortinet – they’re all fighting for the Security Analytics market. All these companies are poised on the edge of tomorrow, the question is, which ones know the future, and which ones will get eaten by the aliens? Cisco has the power, resources, and now brains to be a formidable player here. We could be heading for a Raytheon-Cisco battle royal. The good news is, that battle will have no losers. We may all win from this. Wow – Cisco just dropped another half a billion to acquire Lancope, thats got to be over $4bn in recent acquisitions. Be interested to hear what you think they are doing / building, this is smelling like the biggest story in security today. Yes, I agree. Cisco’s acquisitions are big news. They are building a very robust security portfolio. I think it is because they are letting Martin Roesch run the show. I also think there will be a few more big acquisitions. I suspect they might grab a SIEM product soon, or build a super deep partnership with one. Splunk may be too big for them to buy. HP is unloading properties, so maybe ArcSight. I agree with you about analytics and intelligence being key for the future, but the (way that most SIEM is implemented today) means that not only whoever implements it but also whoever sells it has a big weight around their neck. You’ve got to be friends with everyone and make sure APIs are always aligned etc. Maybe Splunk but pure-play SIEM surely can’t be that big a market to enter in dollar terms for someone like Cisco. I’m wondering why they’d bother with that unless they did something that totally changed the game and made it a must-have or even a “I’m willing to switch” kind of product and SIEM just doesn’t look like that to me today. I think something else is going on, the way it looks to me is everyone else is doing backend integration – ie integration that is really sending different logs to (someone else’s SIEM) and letting their post-event correlation be the focus of “integration”. Reading about the PXGrid and ability to have the products talking to each other lower down at the element manager level in what is starting to sound like some kind of security bus means you are closer to the source of truth and might be able to take more proactive stance earlier in attack cycle. The more 3rd party vendors get on board PXGrid the more powerful that would be. 2 cents worth. Accelops would be the best value SIEM acquisition…and it was started by ex-cisco people! Splunk is not a SIEM, but is a log engine, they would be paying for the brand and not getting value from the tech, if they were interested in Splunk they may as well look at ElasticSearch, which is eating into Splunk market share right now. Arcsight is old tech and would cost a lot to modernise and integrate fully into the portfolio. Accelops is a very good SIEM. However, Splunk has a much more open system. It depends on how Cisco wants to build out their platform. In his keynote at RSA, Marty was very clear that we needed open standards so technology could interoperate. I think this is Marty’s way of telling us he wants to move Cisco from a “closed tech” to an open one. That means something like Splunk would be a more logical acquisition for Cisco if they are serious about that strategy. However, Splunk has a super-high valuation. As such, they may see somebody like Accelops or ArcSight as a better way to spend their money. They could also avoid the SIEM entirely and just create tight partnerships with Splunk and the likes.